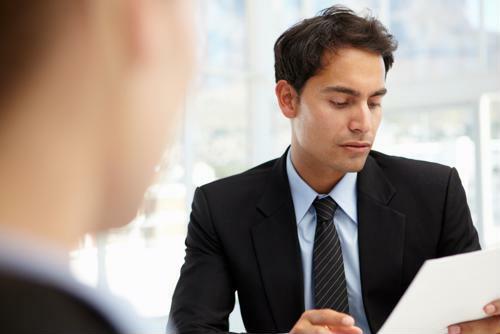 What can hiring managers tell job seekers about a career search? Millions of Americans have looked for a job at least a few times in their lives, but the process can sometimes be frustrating and time-consuming. There are, however, ways job seekers can make that search go a little more smoothly and quickly. Perhaps the best people to impart advice about getting that process right are those on the other side of every hiring decision. While many people may think it's a good idea to have an eye-catching resume that includes photos of themselves or "unconventional" designs, something that goes beyond the norm can often be a turn-off for hiring managers, according to Big Think. To that end, it's important for job seekers to think about the kinds of industries they're looking to get into and whether conspicuous creativity is going to be seen as an asset or liability. Similarly, it's a good idea to keep a resume relatively short, the report said. After all, hiring managers may only have a few minutes - or less - to look at any resume that comes across their desk, so sending one that's two or three pages long could be a big hindrance to landing an interview. Because the job search can often be frustrating - whether people aren't getting hired after what they thought were good interviews, or aren't receiving call-backs - it's a good idea for candidates to focus on what success they have achieved, according to Strategic Sourceror. If they got an interview with one cover letter or version of their resume, but not another, what did the successful ones have that the others did not? Likewise, it's smart to look back at past successes and play those up on a resume or cover letter. When job seekers are going through this process, they are not likely to get an interview on every resume they send out, according to the Daily Toreador. In fact, one might not even come with every five resumes. However, it's important to keep plugging away and expect that the call is going to come eventually. The same is true of periods after an interview when it may take a week or more to hear back from a hiring manager as they speak with other candidates. Getting frustrated during these times is understandable, but it doesn't do anyone any good. The alternative is to simply focus on other opportunities in the meantime. Along similar lines to being patient, it can be easy to despair when responses to resumes are few and far between, the Daily Toreador noted. However, falling into a funk doesn't provide job seekers with much help or solace. That's why it's important to have other things to focus on, even if it's difficult to do so at times. Distractions from the grind of a job search can occasionally be exactly what people need, just like workers need to take vacations sometimes.